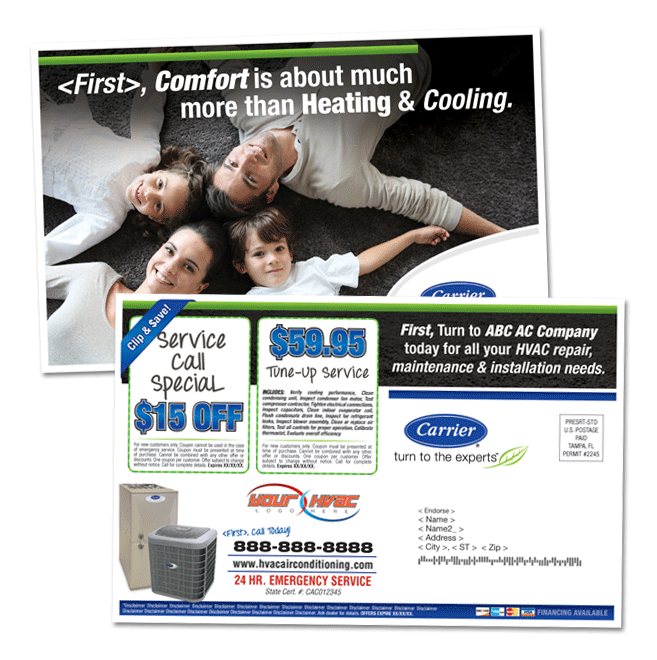 4 Color Duplex 8.5x5.5 Postcard with a New Mover message and a Service Coupon Option. Customize this product with your company logo, information and custom offers you would want to feature. 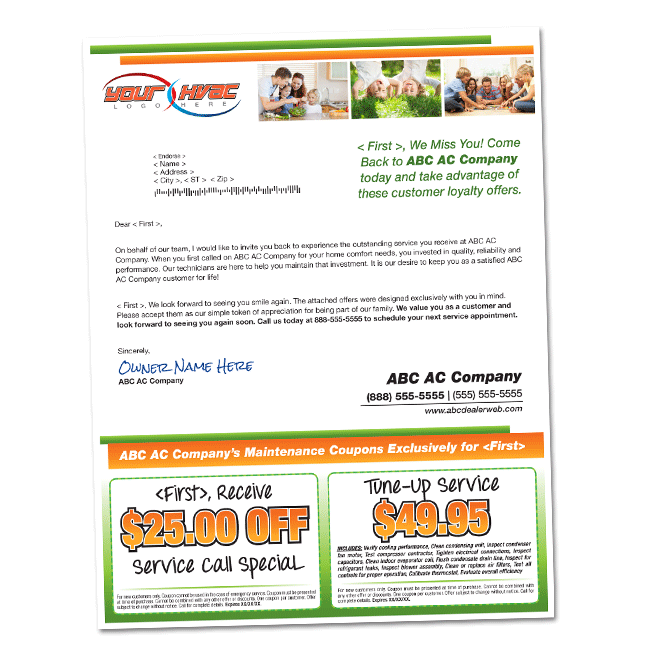 4 Color Duplex 6 x 14 Fold Over Postcard with a New Mover message and 3 Coupon Options. Customize this product with your company logo, information and custom offers you would want to feature. 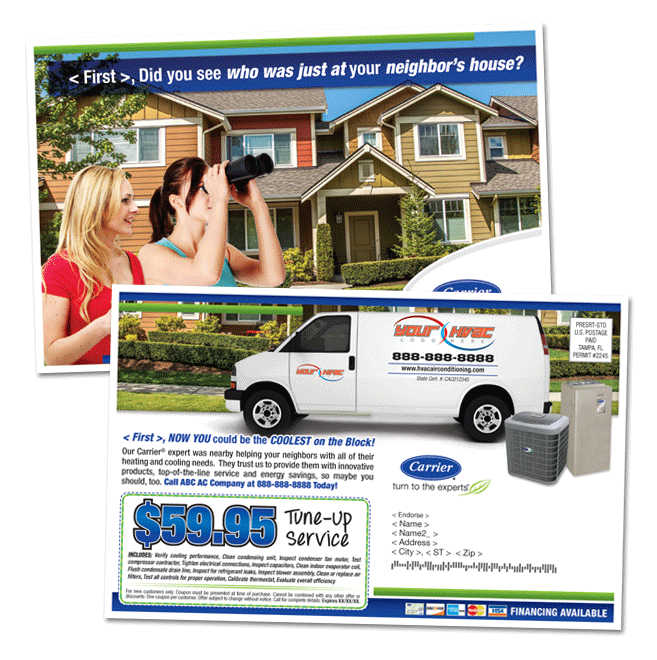 4 Color Duplex 8.5 x 5.5 Postcard with a Neighborhood Radius message and a Service Coupon Option. Customize this product with your company logo, information and custom offers you would want to feature. 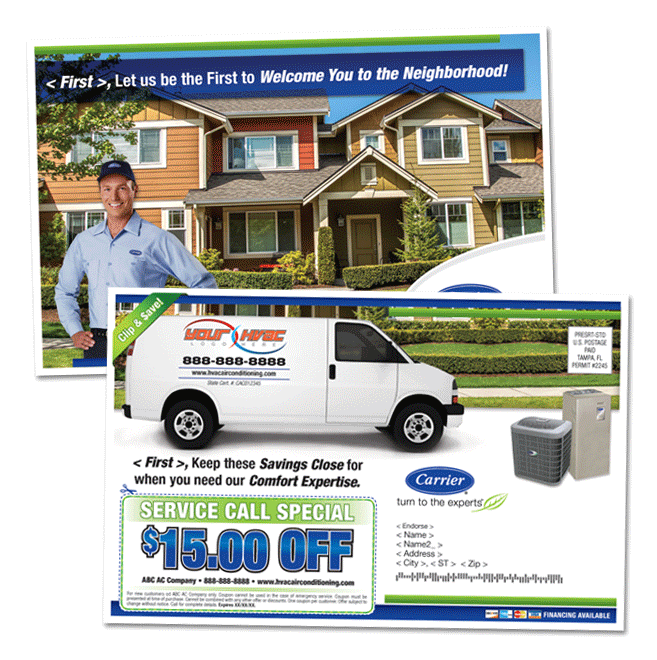 4 Color Duplex 6 x 14 Fold Over Postcard with a Neighborhood Radius message and 2 Service Coupon Options. Customize this product with your company logo, information and custom offers you would want to feature. 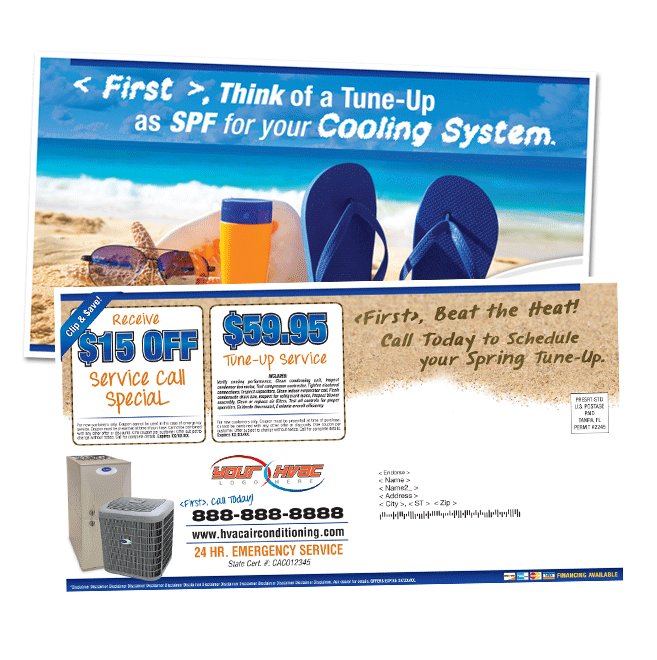 4 Color Duplex 8.5 x 5.5 System Rebate Promo Postcard with an Additional Service Coupon Option. Customize this product with your company logo, information and custom offers you would want to feature. 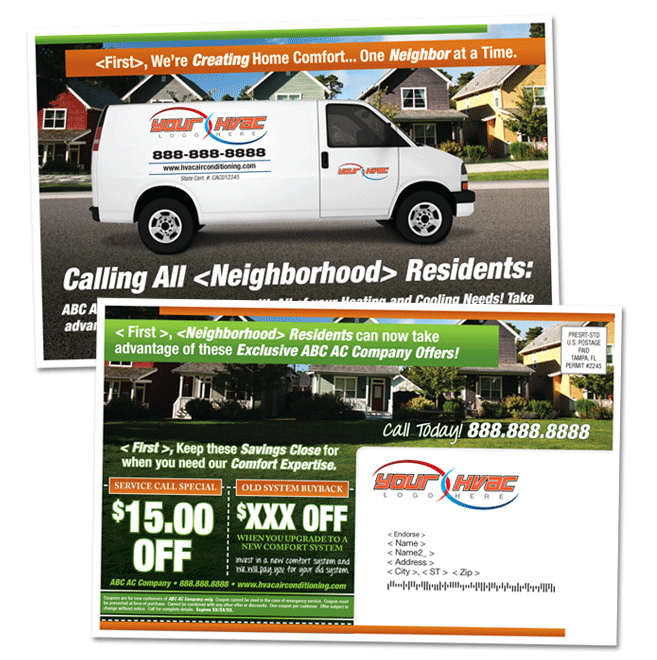 4 Color Duplex 8.5 x 5.5 Neighborhood Promotional Postcard with 2 Service Coupon Options. 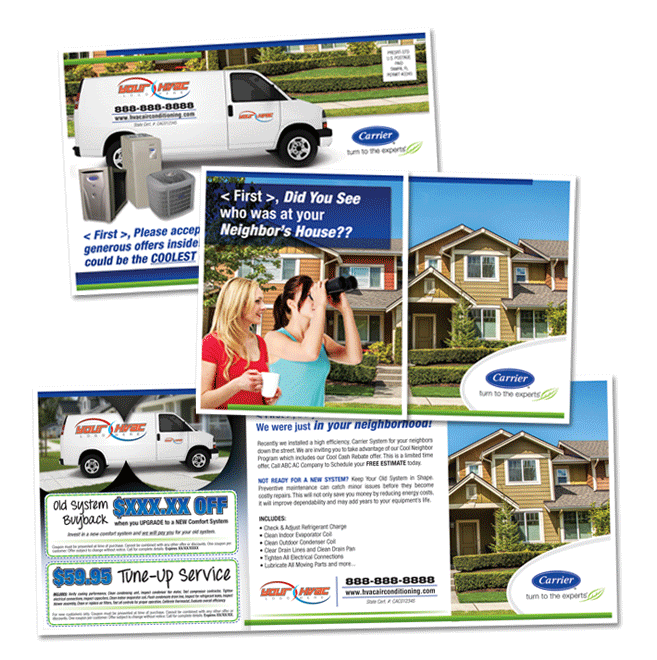 Customize this product with your company logo, information, Neighborhood photos and custom offers you would want to feature. 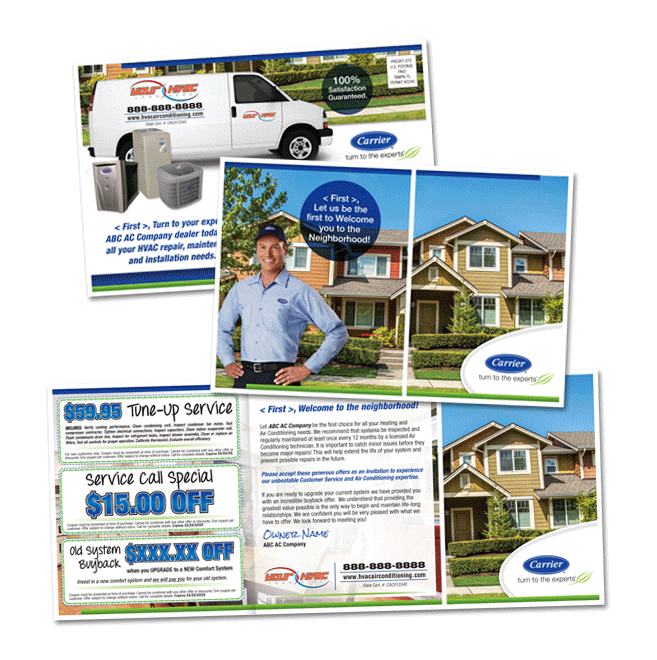 4 Color Duplex 8.5 x 5.5 Postcard with a Old System Buyback Incentive Coupon Option. Customize this product with your company logo, information and custom offers you would want to feature. 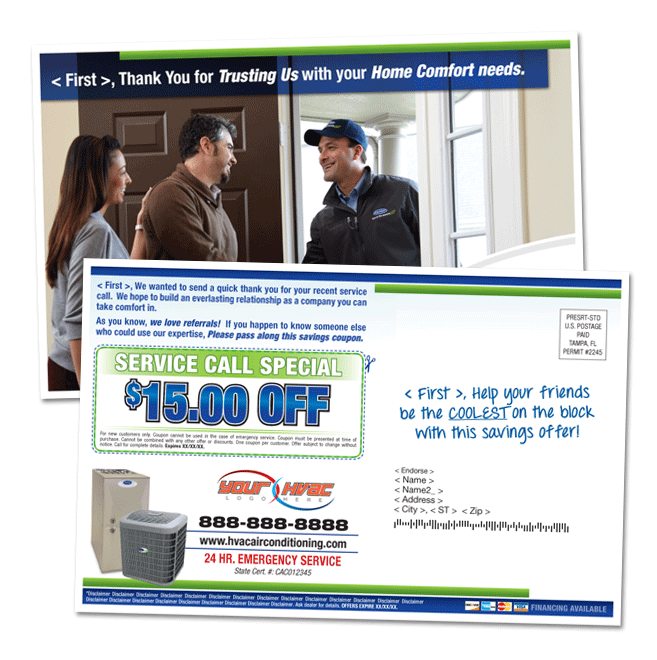 4 Color Duplex 8.5 x 5.5 Lost Customer Postcard with 2 Coupon Options. Customize this product with your company logo, information and the custom offers you would want to feature. 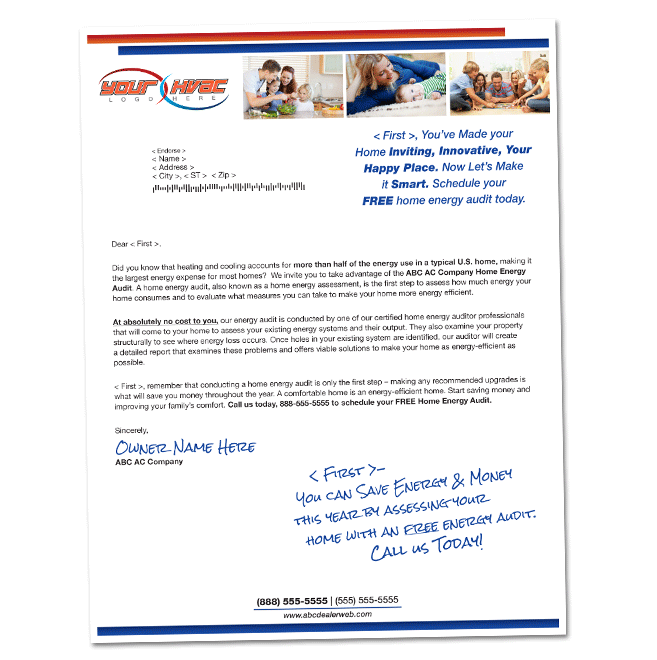 4 Color Simplex 8.5 x 11 Lost Customer Letter with 2 Coupon Options. Customize this product with your company logo, information and custom offers you would want to feature. 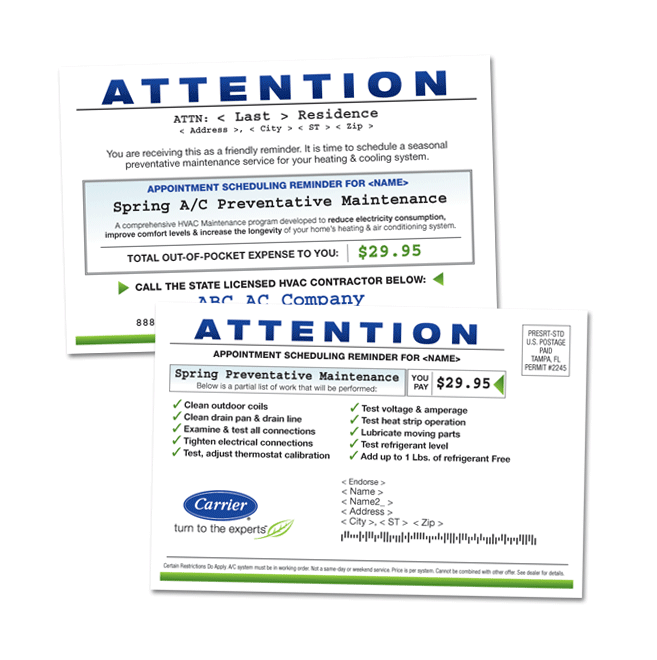 4 Color Duplex Seasonal Letter used to promote and enhance your company. 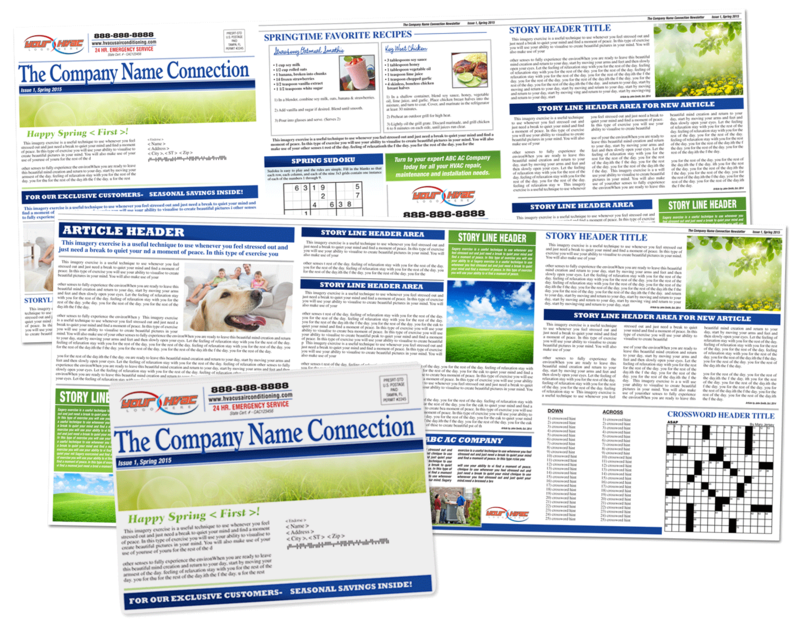 Customize this product with your company logo, information, photos and custom articles you would want to feature. 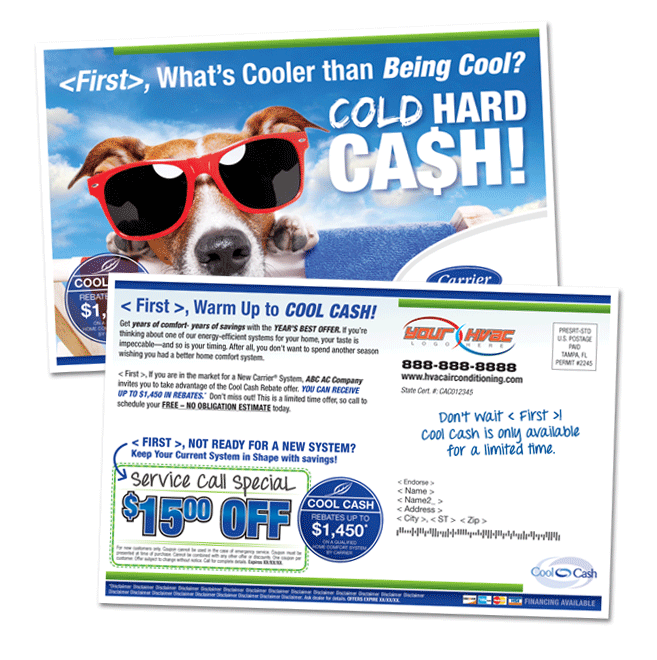 4 Color Duplex 6 x 11 Summer Themed Post Card with 2 Coupon Options. Customize this product with your company logo, information and custom offers you would want to feature. 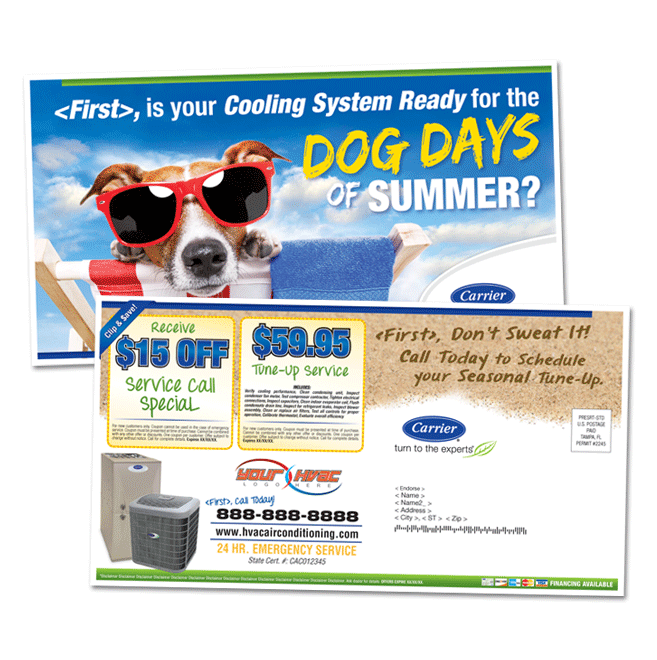 4 Color Duplex 6 x 11 Dog Days of Summer Themed Post Card with 2 Coupon Options. Customize this product with your company logo, information and custom offers you would want to feature. 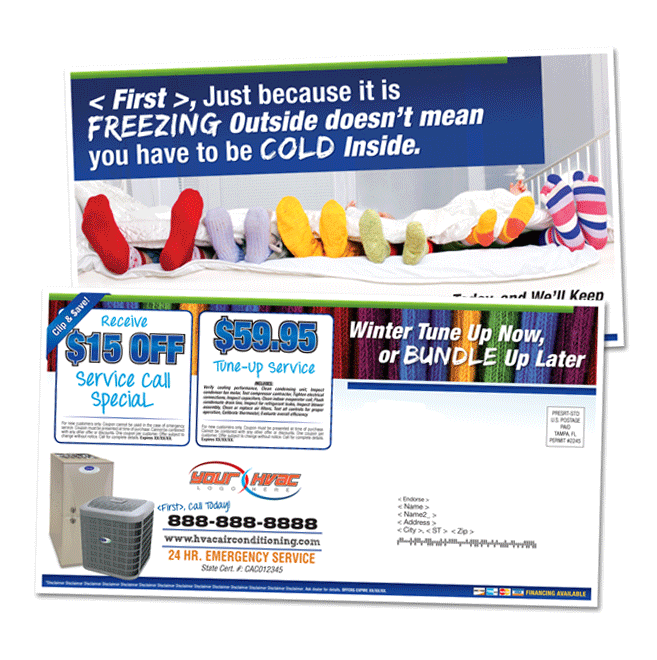 4 Color Duplex 6 x 11 Winter Themed Post Card with 2 Coupon Option. Customize this product with your company logo, information and custom offers you would want to feature. 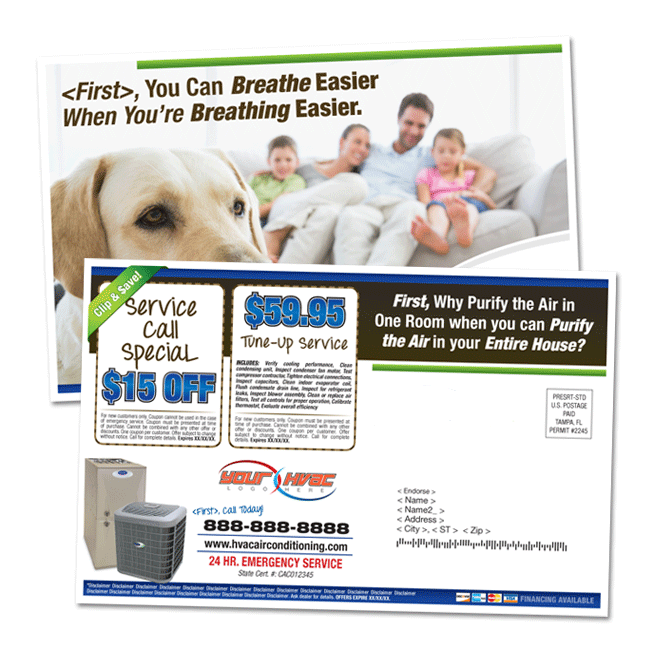 4 Color Duplex 8.5x5.5 Postcard with 2 Service Coupon Options. Customize this product with your company logo, information and custom offers you would want to feature. 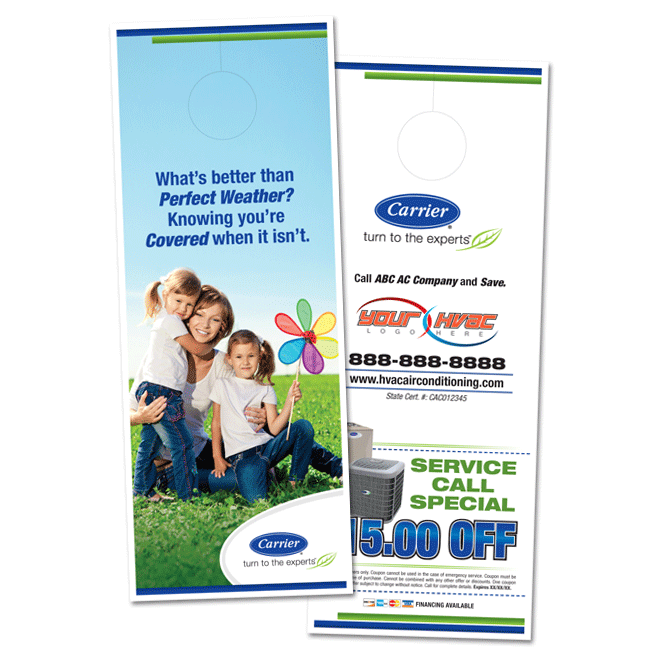 4 Color Duplex Doorhanger with Service Call Coupon. 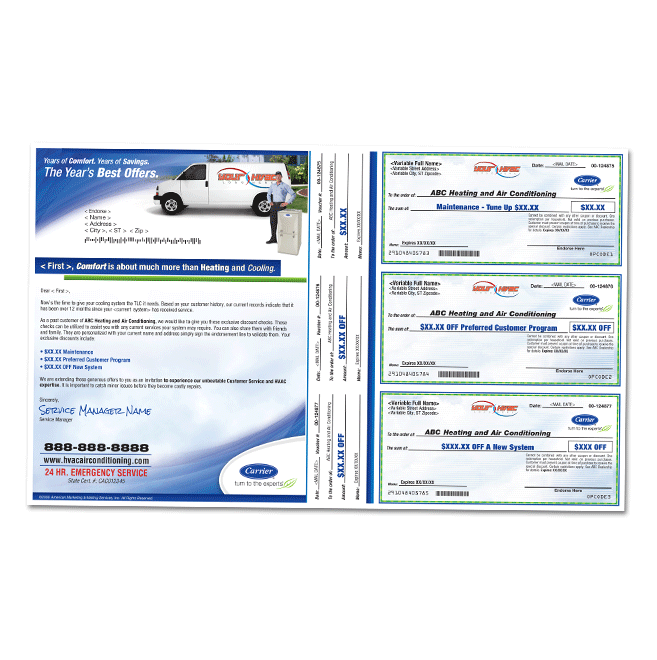 Customize this product with your company logo and information. 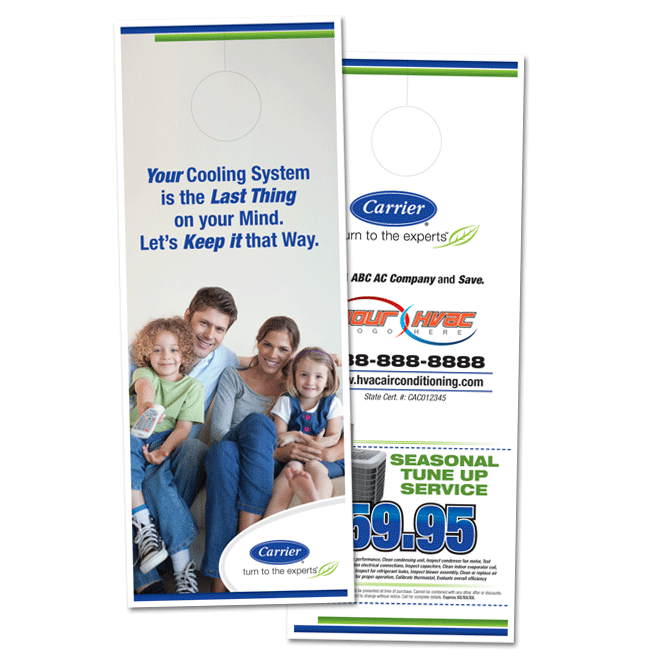 4 Color Duplex Doorhanger with General Tune Up Coupon Offer. Customize this product with your company logo and information. 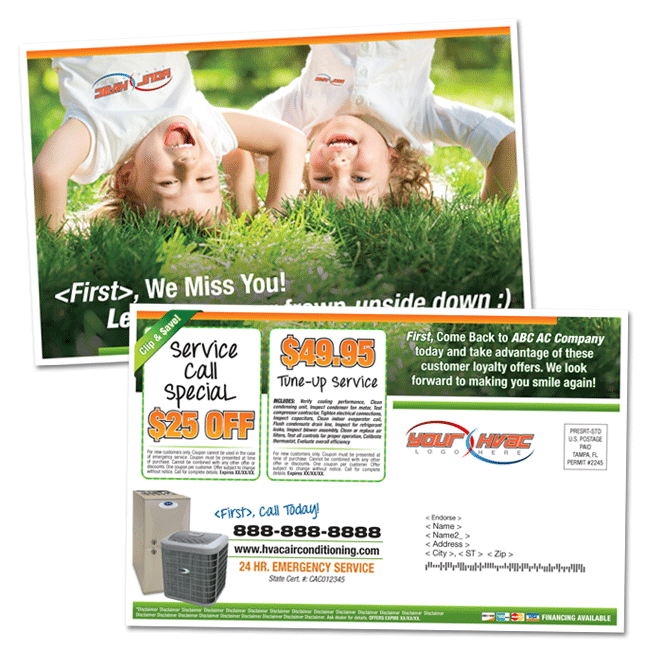 4 Color Duplex 4 x 6 Service Appointment Reminder Post Card with Price Listing Option. Customize this product with your company logo, information and custom pricing you would want to feature. 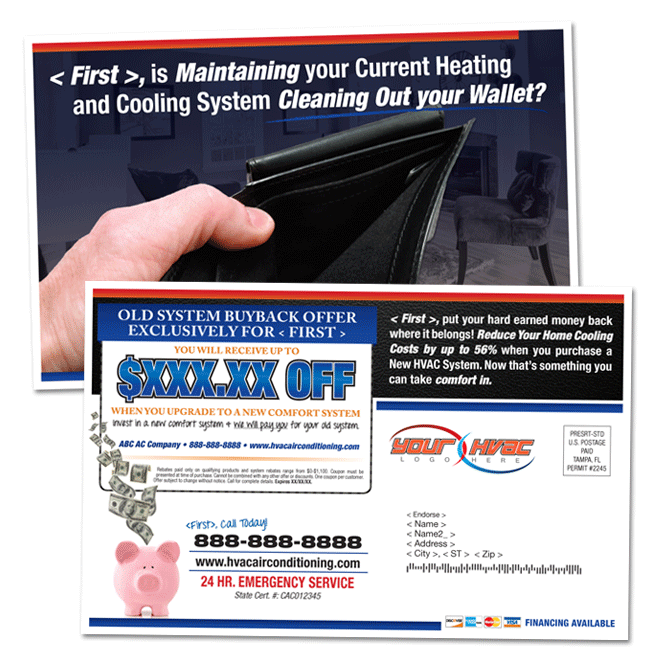 4 Color Simplex 8.5 x 14 Annual Service Reminder 3-Up Check with 3 Custom Check/Coupon Options. Customize this product with your company logo, information and custom offers you would want to feature. Show your customers you care. 4 Color Duplex 8.5 x 5.5 Thank You Post Card with a Coupon Option. 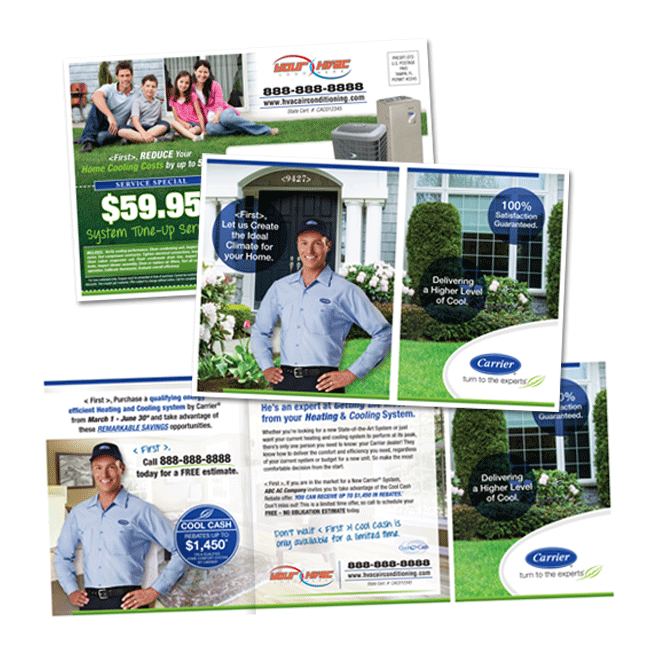 Customize this product with your company logo, information and a custom offer you would want to feature. 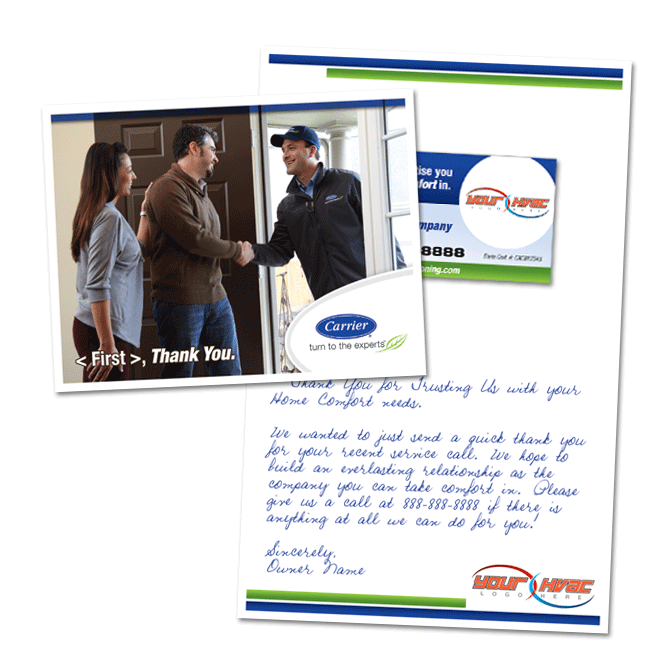 4 Color, Duplex Thank You Card with a Custom Magnet Attachment. 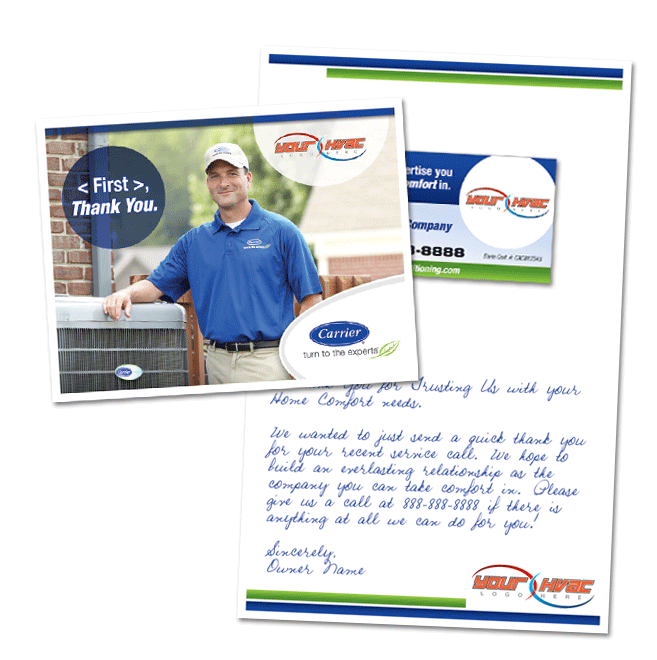 Customize this product with your company logo, information and custom handwritten message you would want to send to your customers. Magnet is fully Customizable.